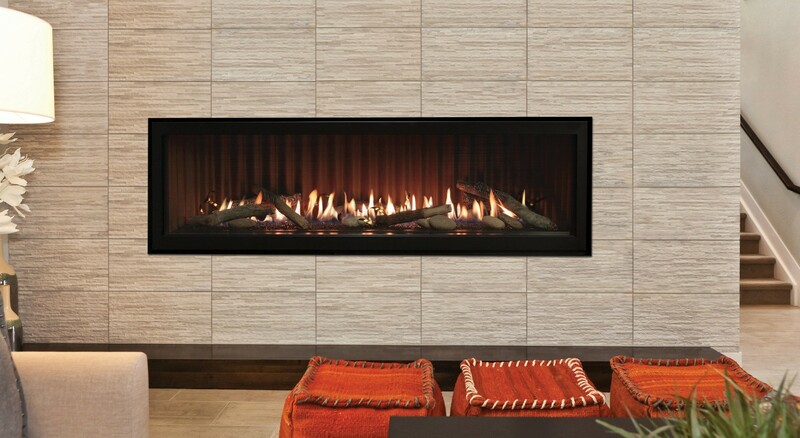 Rushmore fireplace inserts feature the TruFlame system – a combination of technology and aesthetics to create realistic flames and a glowing ember bed, mimicking a natural wood fire. 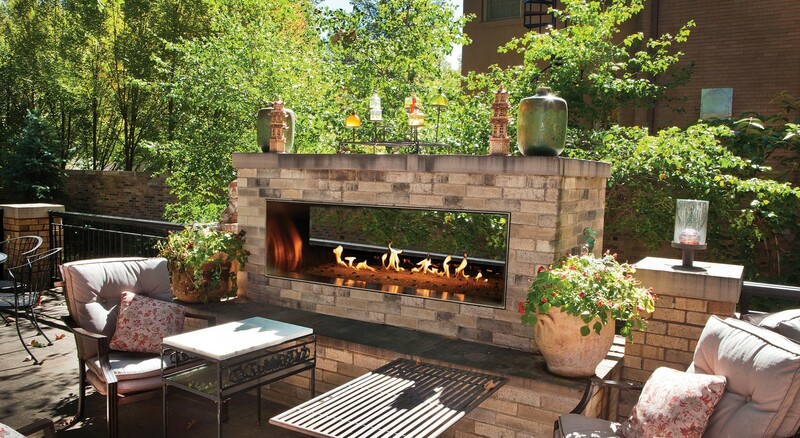 Stainless steel construction, an integrated LED lighting system, and a 55,000 Btu burner ensure that Empire’s 48-inch Outdoor Linear Fireplace will light up your patio party for any occasion. 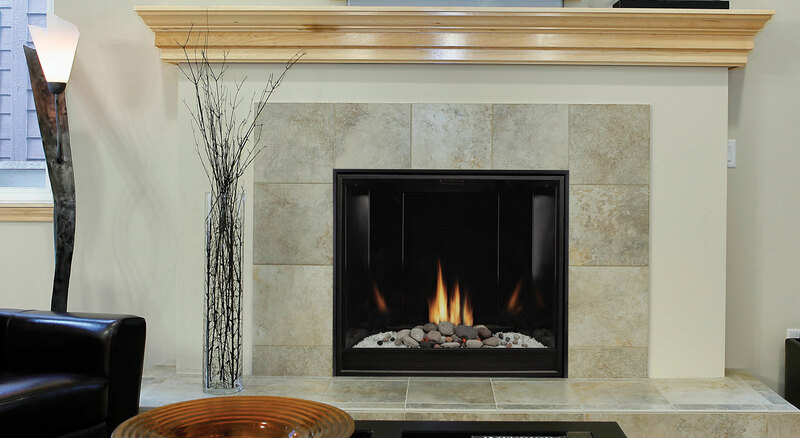 Or choose the 60-inch model with 65,000 Btu burner. 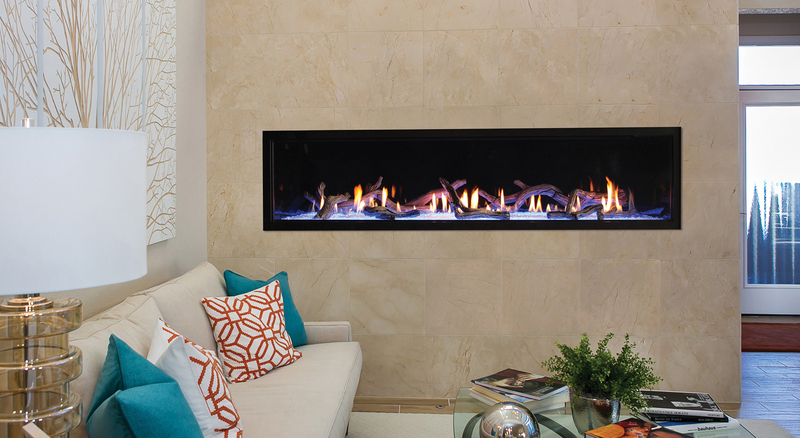 With its outsize proportions, its contemporary burner, and its programmable lighting system concealed beneath a bed of crushed glass, a Boulevard Large Linear Vent-Free Fireplace makes a bold statement. 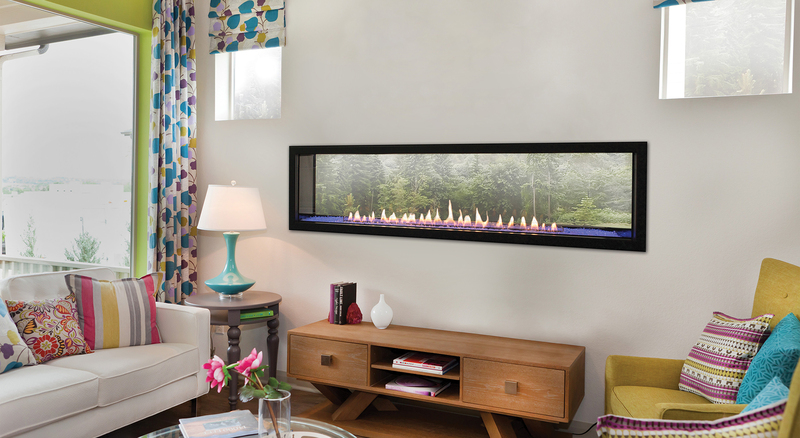 The Premium Clean-Face Contemporary Tahoe includes a tempered glass view window and a unique burner that delivers a rich flame pattern. The ceramic fiber rock set is required. Each rock piece is hand painted. 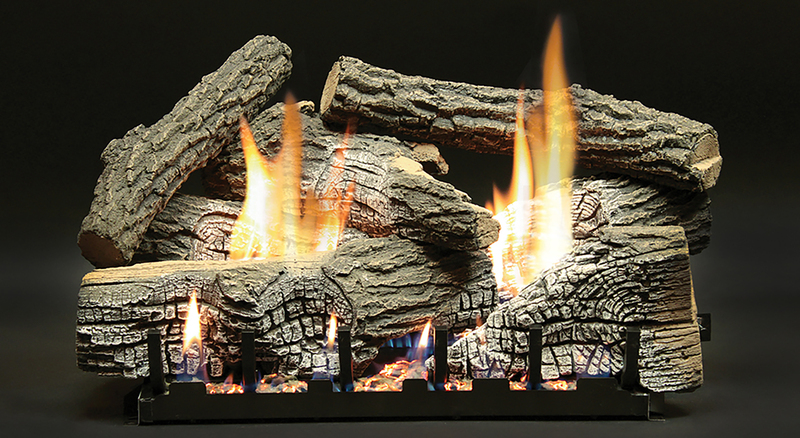 From the curve of each log to the height of the stack, your White Mountain Hearth Log Set complements the burner pattern for a lifelike fire. With a true 60-inch viewing area, integrated multi-color LED lighting system, and optional hand-painted log set, the see-through Boulevard Fireplace makes a bold statement – indoors and out. 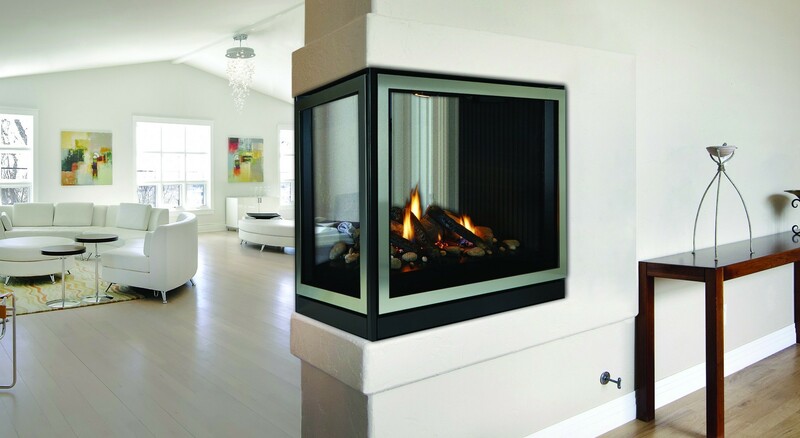 The Tahoe clean-face direct-vent fireplace looks like a site-built fireplace, while offering the convenience and efficiency of a modern gas system. 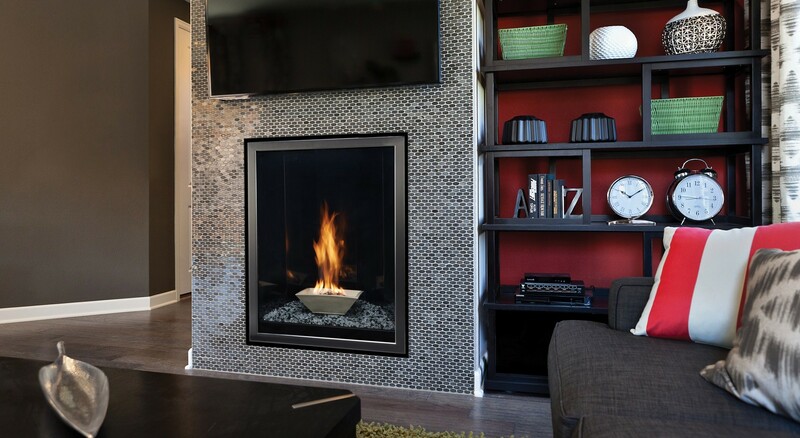 With its clean vertical lines the Forest Hills Portrait Fireplace adds a striking design element to your home décor. 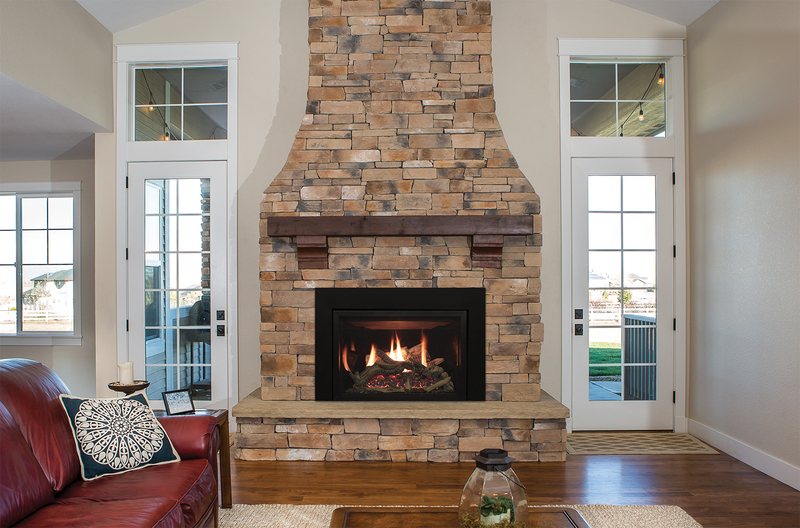 Available in Contemporary and Traditional models, these unique fireplaces offer several designer options to let you create your perfect fireplace.